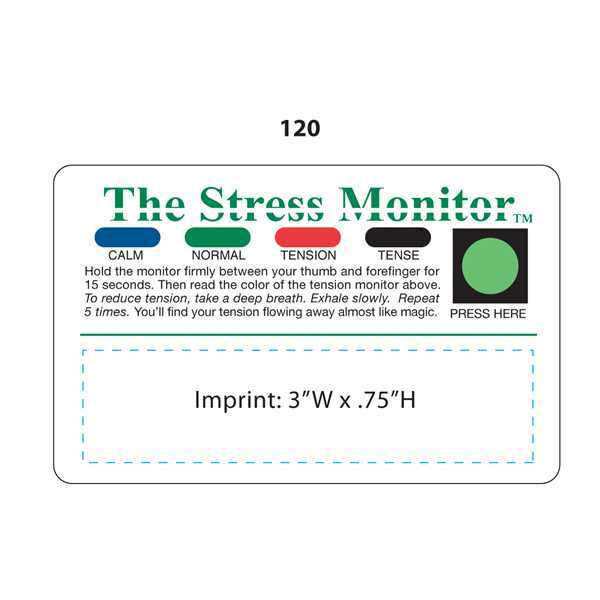 Stress monitor card that measures levels of stress with color change. Back is blank. Don't stress out over your next promotion! Hold the square between your thumb and forefinger for 15 seconds to check your stress level. Size: 3 3/8" W x 2 1/8" H x .020". Size: 3 3/8 " x 2 1/8 " x .020 "
Ship Weight:9 lbs. per 1,000. Less than minimum: absolute minimum is 100 pieces.